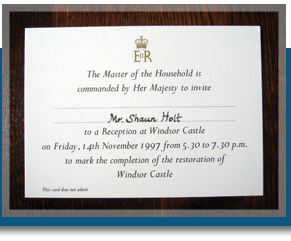 During his joinery career, Shaun has worked on many prestigious projects, and none bigger than the restoration of Windsor Castle, following the Great Fire in 1992. Whilst previously employed Shaun was part of a small team of highly skilled craftsman who supplied and installed the only new room within the Castle. This room was originally the Old Private Chapel which was where the fire actually started, this area was transformed into the Lantern Lobby. This area combines eight grand Oak columns cascading into the central flower feature, encompassing Engel wing carvings within the scheme. 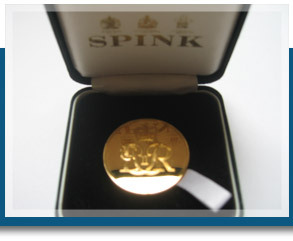 Only the highest level of workmanship and grade of materials available was to be used. The Lantern Lobby took over two years to complete from the original design, through to full size mock-up models and finally the completed project. 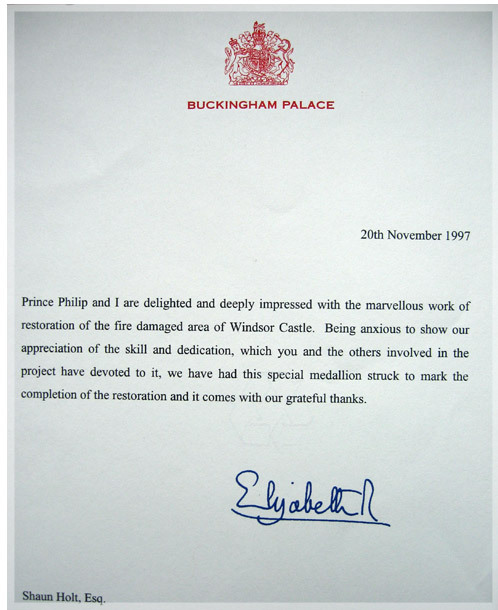 Having worked on the project throughout all of the stages, from design right through to the site installation, it certainly soon became the highlight of any craftsman’s career, which was only to be surpassed by meeting the Queen and the Royal Family at a private function held at the castle, where he and the team were awarded a specially commissioned royal minted medal.